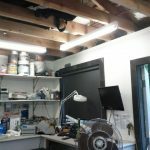 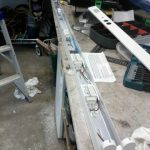 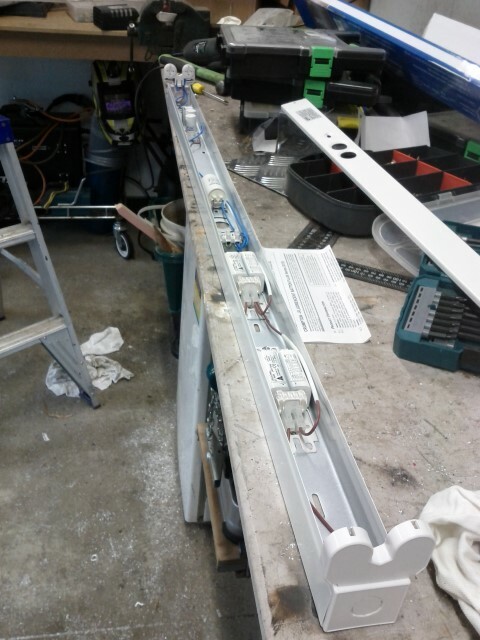 I had a gift voucher the local hardware store, so I decided to buy two double-baton fluorescent lights and install them near the business end of my workshop. 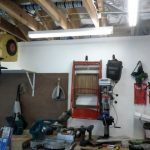 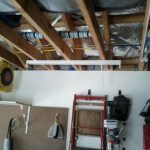 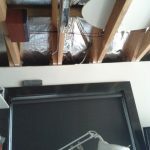 I tapped in to the existing lights to grab power and I also installed a couple of power points in the rafters for my tools. 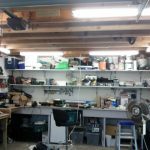 The result is much cleaner and brighter!